Evernote Skitch for iPad is a must for any teacher who projects their iPad. It is a simple and intuitive app that even students can use on their own. One can take ANY screenshot or photo and write or type on it. I first decided to use when I was teaching a student guitar. 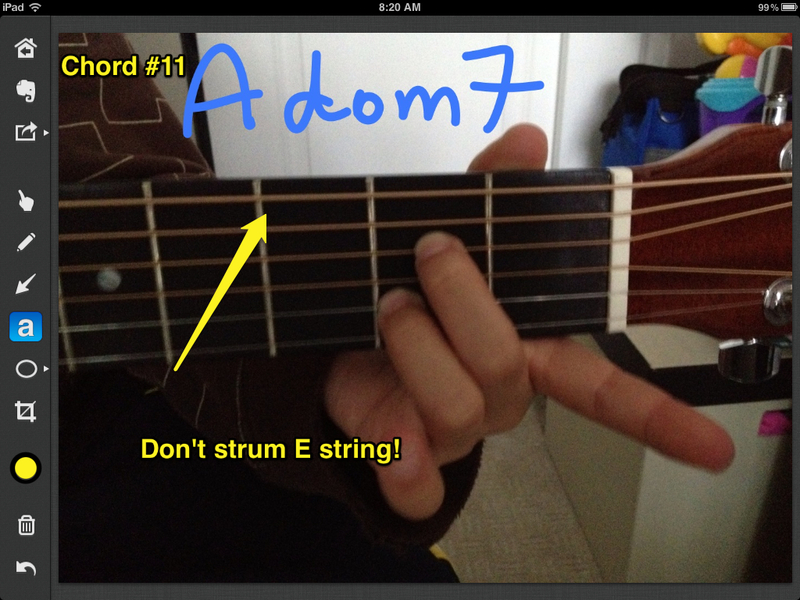 I quickly took photos of new chords we were learning. He brings his iPod touch each lesson and can receive the altered photos almost instantly. He then copies the emailed photo to his Camera Roll and now he has a neat practice tool to use at home. Notice the arrows. I am able to make any length and size arrow I want. There is one font that can be one of eight different colors. Now that I have begun a small collection of chords, I can then send them off to other students as well. 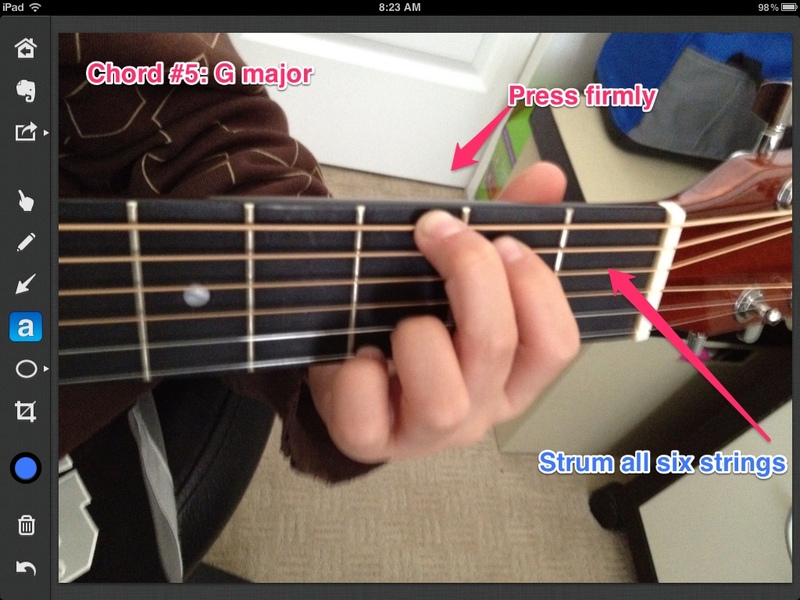 Now if I want to test them on identifying the chord positions, I can also send them the original photos as well. You do not need an Internet connection to use the app, only when you want to email it, or send it to Evernote. You are unfortunately not able to resize or change the font of the lettering. Please check out the Evernote Blog featuring yours truly regarding Skitch. Here is the app link for Evernote Skitch for iPad. It's a free app.